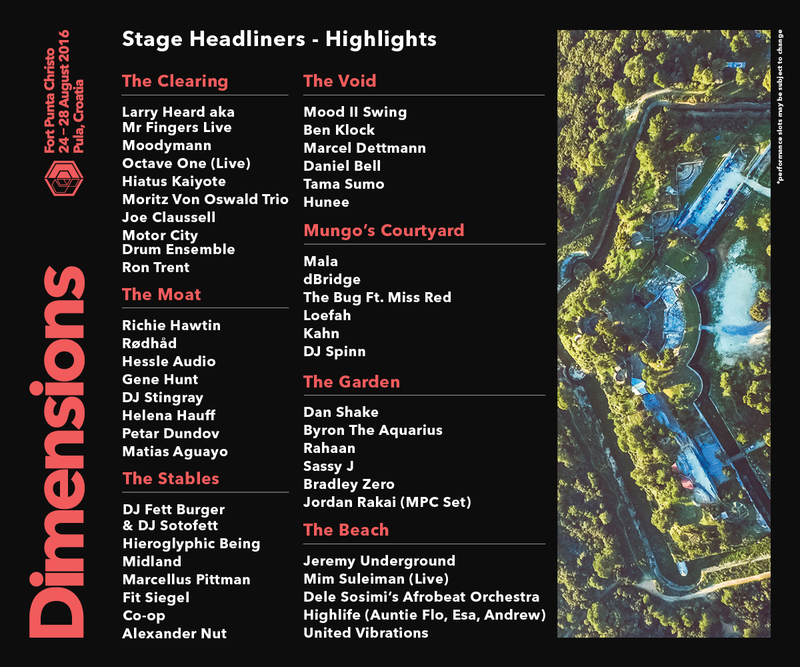 Regarded as one of the best curated line ups in electronic music, Dimensions Festival returns to Pula for 2016. The music at the festival speaks volumes, however the festival’s awe-inspiring venue Fort Punta Christo is once again, what makes Dimensions Festival so special. Presenting revellers with a multitude of interesting and unique venues including an abandoned fort, a dungeon, a courtyard and a moat, the fort impressed revellers with its fairytale qualities. 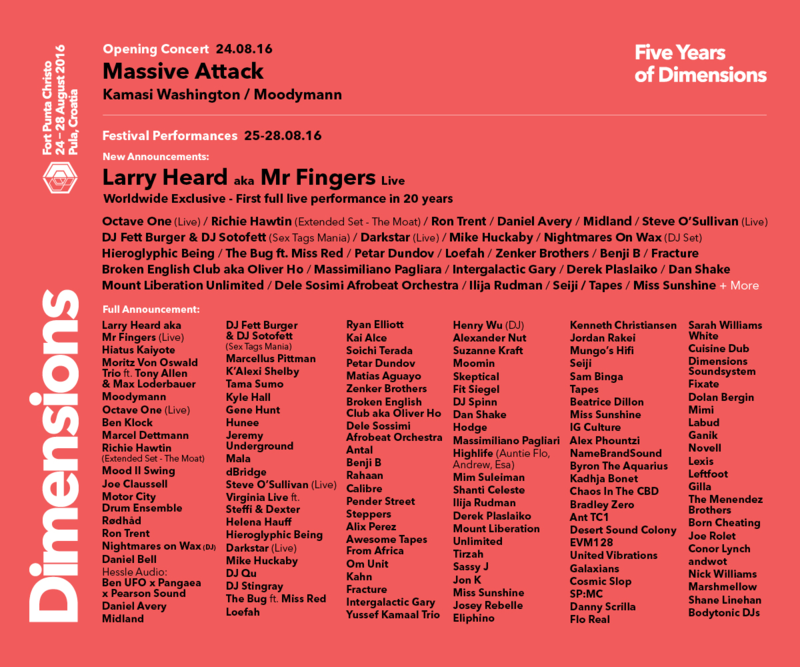 Festival Ticket allows access to the festival from Thursday 25th August. Campsite accommodation passes are valid from 12pm Tuesday 23rd August – 2pm Monday 29th August. The opening concert takes place on Wednesday 24th August and is separately ticketed. Festival tickets DO NOT include the opening concert.